The company will sell the glasses for $1,500 each to people who write a convincing essay on what they will use the glasses for. This is brilliant. Absolutely brilliant. Google is getting its customers to evangelize about its product and then ‘rewarding’ them by letting them pay $1,500 to buy the product. More than that, Google is crowdsourcing its customers for ways to market its product. By aggregating the best essays (and the themes of the essays), Google will see best how to market its product to other customers. 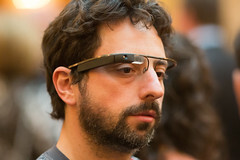 This entry was posted in News, Technology and tagged Evangelize, Fresh Perspective, Google, Google Glasses, Marketing, Project Glass, Sergey Brin, TED2013. Bookmark the permalink.